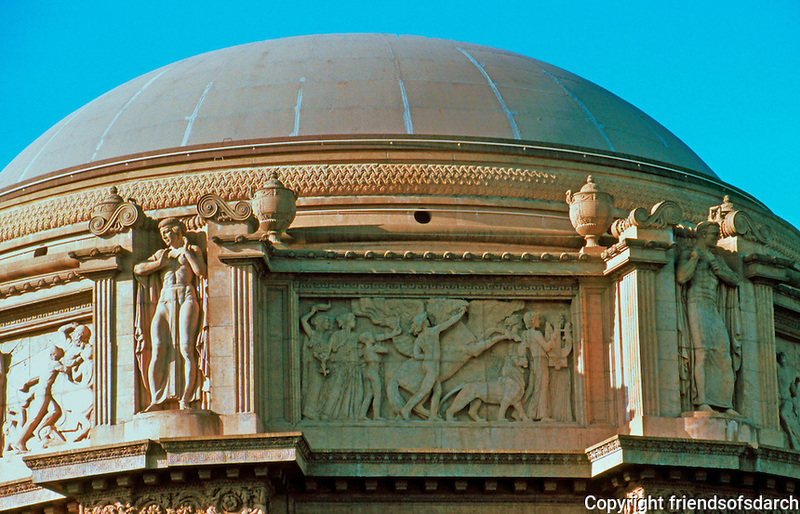 Bernard Maybeck: Palace of Fine Arts, San Francisco. Close up of dome. Photo '83.